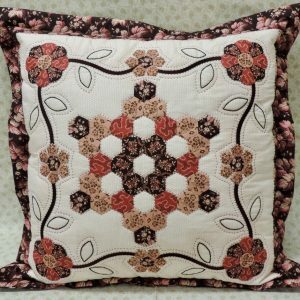 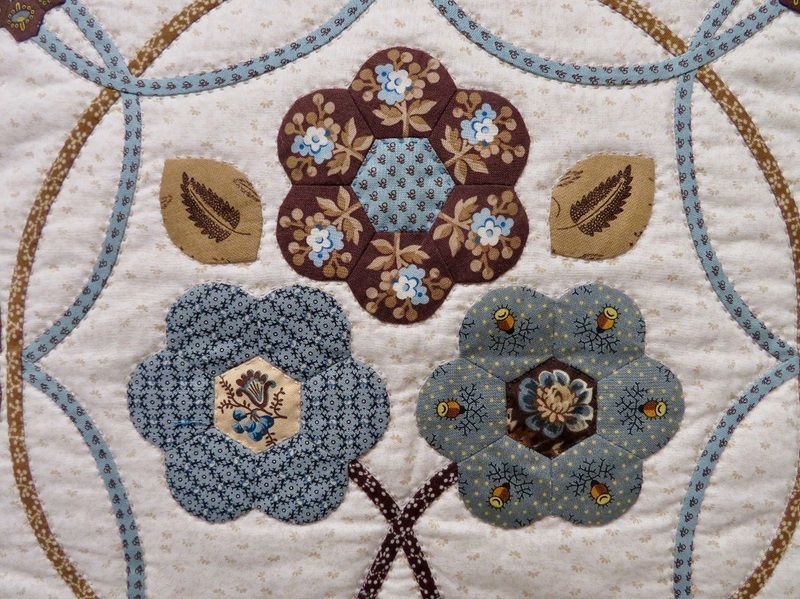 This large cushion design features a central posy of hexagon flowers surrounded by bias stems. 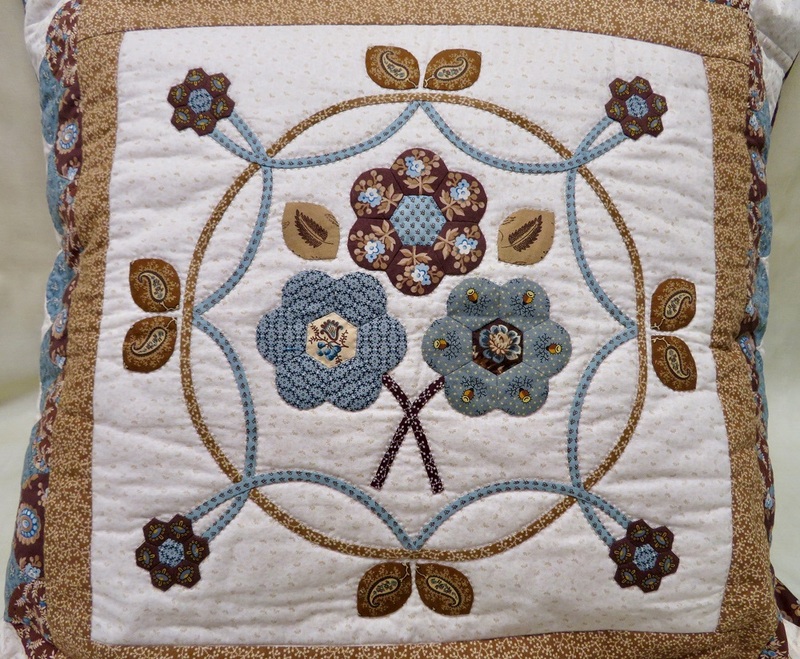 There is a border of clamshells around the centre. 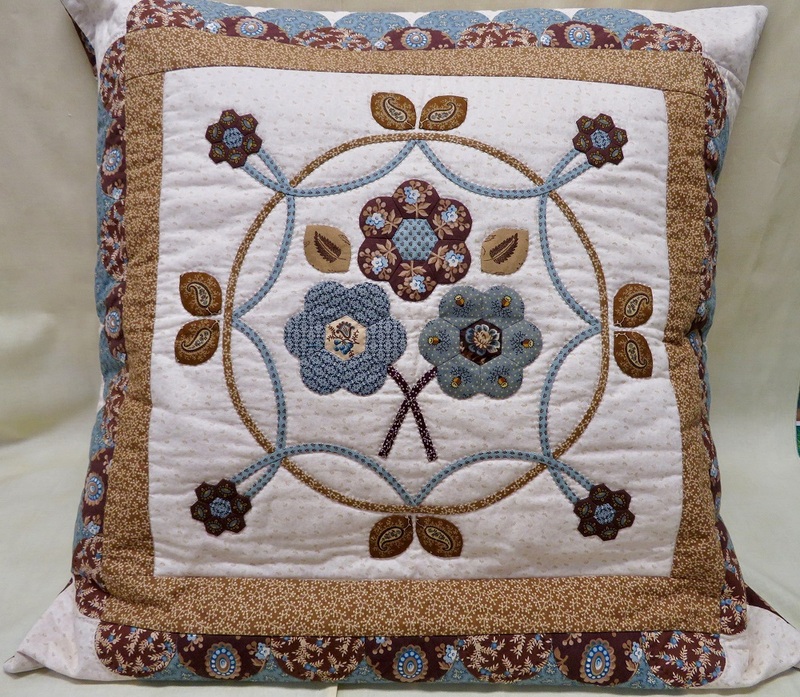 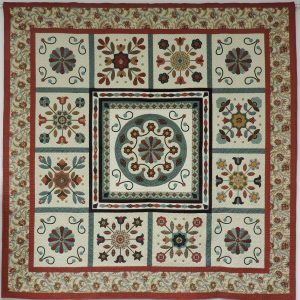 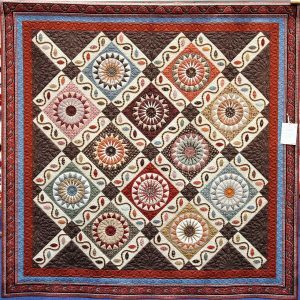 The design makes a generous cushion or could be the centre of a medallion quilt. 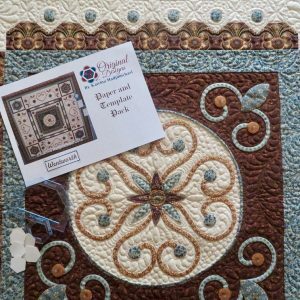 This pattern and template kit includes the pattern and all the required paper templates and perspex cutting templates.